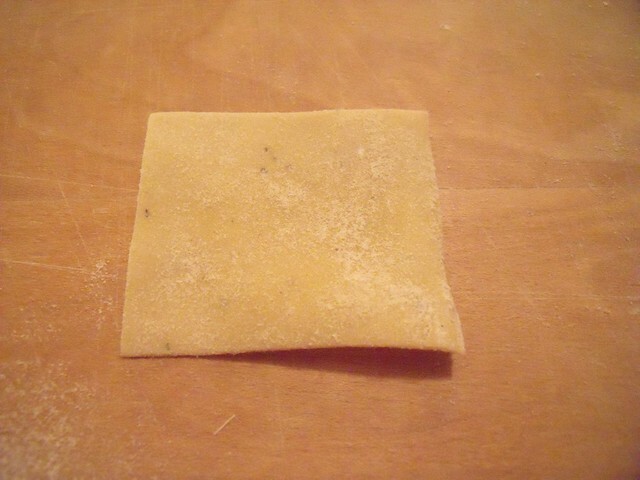 So now that you know how to make your own Fresh Egg Pasta, you can get on with Operation Tortellini and start stuffing delicious vegetables into divine dough! As a very first hint, if you’re going to make stuffed pasta, make the filling first so it can rest while you make the pasta. And if you want to retain your sanity, don’t over-commit like we did, and instead try making just one filling at a time (but just wait, there’s a recipe with butternut squash and sage coming soon). You could easily make the filling the night before, and keep it in the fridge until you’ve made your pasta. We made a chanterelle filling from frozen chanterelles! 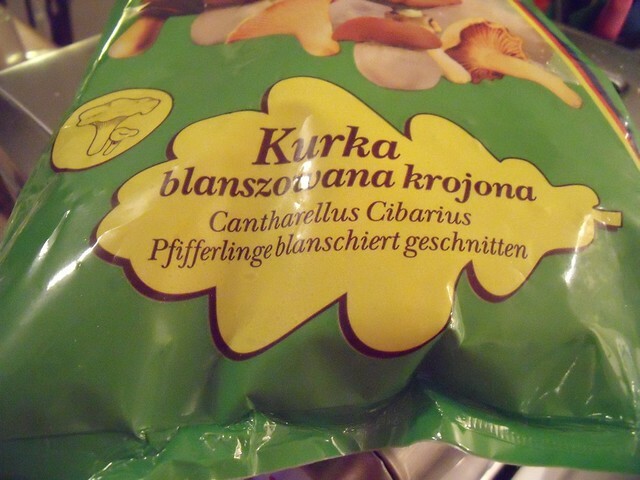 I hadn’t seen them before, but Louise picked them up at her local European grocery. We weren’t sure how the texture of the frozen mushrooms would be, but once we sauteed them, they were delicious. In fact, it was a struggle not to eat the sauteed mushrooms right out of the pan! And of course, that makes for an excellent pasta filling! 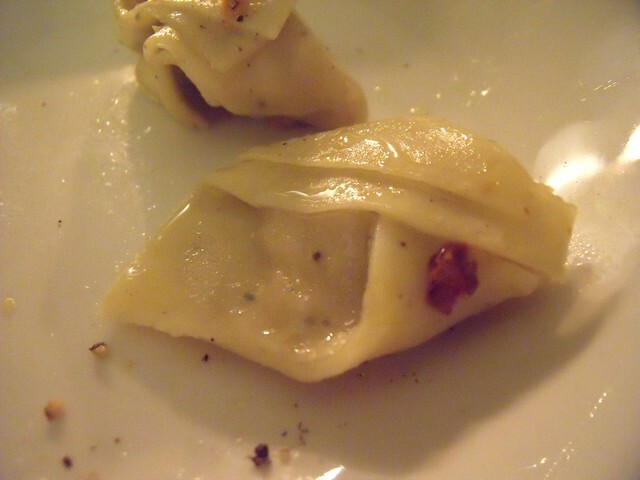 Folding the tortellini is exactly the same process as folding Cilantro-Ginger Veggie Dumplings, and super fun. 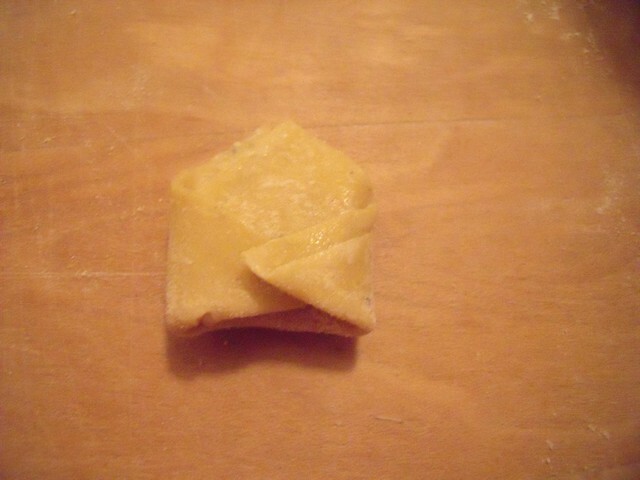 We all found it to be quite stress-reducing to get into our zen practice of folding dough. And hey, anything this delicious is worth doing right. In a large pan, melt the butter. Add the mushrooms, lemon thyme, salt and pepper, and saute until the mushrooms are tender, about 10 minutes. Let cool. 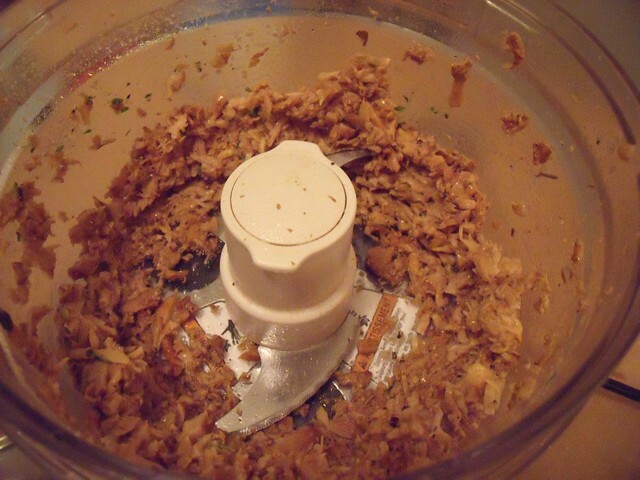 Once the mushrooms are cool, place them in the bowl of a food processor. Blitz until the mushrooms are finely chopped. 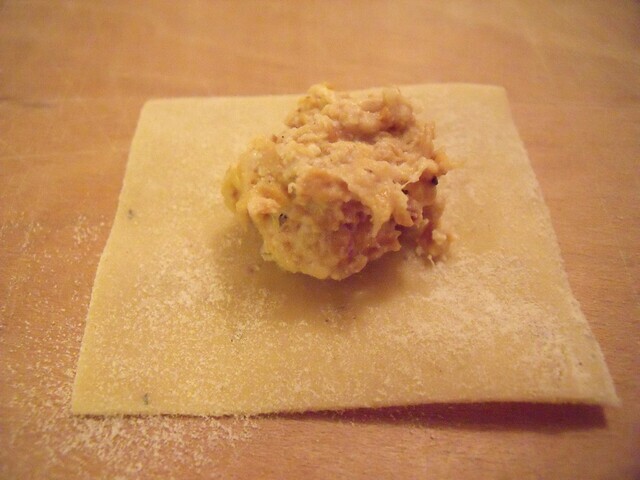 Add the ricotta, parmesan, and egg yolk. Blitz until all ingredients are just incorporated. Transfer to a bowl, cover, and chill in the fridge for 1 hour or overnight. Repeat with your remaining pasta and filling. 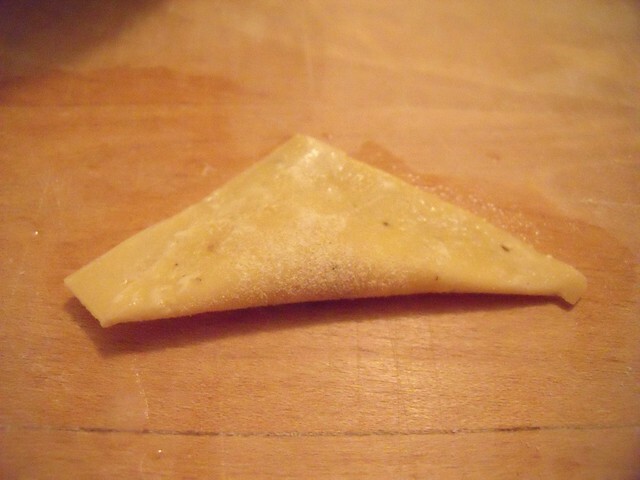 Place your formed tortellini in a single layer on a floured baking sheet. 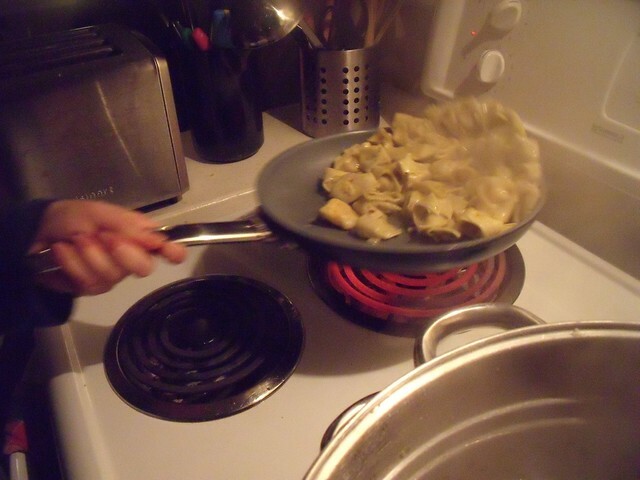 Cook pasta in boiling, salted water until al dente, about 3 minutes. Meanwhile, heat the olive oil in a large pan over medium heat. Add the garlic and red pepper flakes, and cook until garlic is lightly browned and very fragrant. Remove from heat. Drain pasta, and add to the pan with the olive oil mixture. 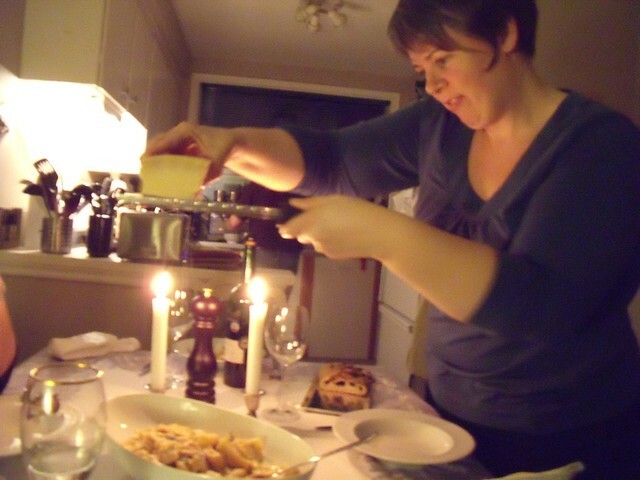 Toss to coat the pasta with the oil mixture. 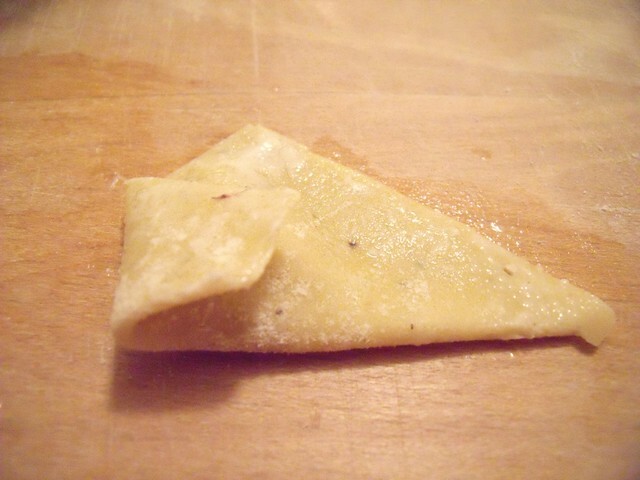 Serve immediately, blanketed with freshly grated Parmesan cheese and cracked black pepper. 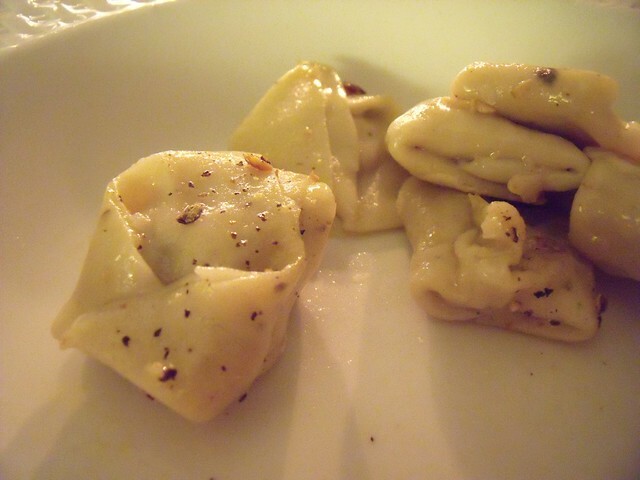 Freeze any uncooked tortellini you won’t use immediately, by laying them out in a single layer on a baking sheet. Then transfer them to a freezer bag once they’ve frozen. OMG that looks SOOOO yummy!!! An authentic aglio e olio has no cheese as it steals all the thunder from the olive oil. Many Italians will cut you for even suggesting such a thing. Also, might I suggest adding a tad bit of the pasta water (couple tablespoons) to the olio with the pasta as it helps to thicken and coat. 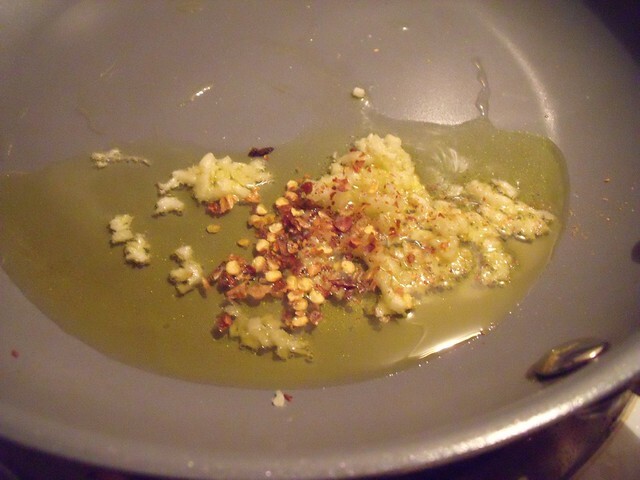 Make it de peperoncini by adding crushed red pepper to the sautéeing garlic. Slicing the garlic instead of mincing it will yield better results.